Ontology is the core component in Semantic Web applications. The employment of an ontology building method affects the quality of ontology and the applicability of ontology language. 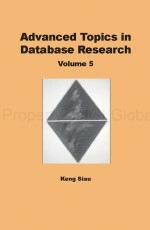 A weighted classification approach for ontology building guidelines is presented in this chapter. The evaluation criteria are based on an existing classification scheme of a semiotic framework for evaluating the quality of conceptual models. A sample of Web-based ontology building method guidelines is evaluated in general and experimented with using data from a case study in particular. Directions for further refinement of ontology building methods are discussed.